Open a window to saving lives. Join the #GoCordless Movement for life. Cordless window coverings are the safest for children and pets. 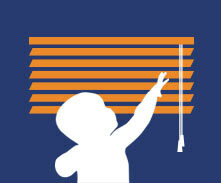 On average, 20+ children per year are involved in a corded window covering accident. On March 31, 2016, SelectBlinds.com became the first custom window covering company to offer cordless on ALL products. Our goal is to educate and empower consumers of safer product choices in the window covering market. Lose the cord, spread the word, and help us change the industry, one window at a time! Don't underestimate the ability of your children. They can reach higher than you think. 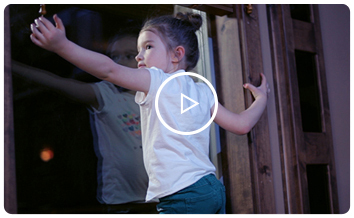 This video is meant to educate the public on how quickly children can reach window covering cords, no matter if they're secured by safety cord cleats or not. These accidents are silent. Children can be strangled in the same room as a parent or caregiver. Children can die in less than one minute. Please join and support our cause by sharing the film with your loved ones and by using #GoCordless on your social media accounts. Learn the tragic truth about deadly corded window coverings. Learn the dangers of corded window coverings. Download and share. 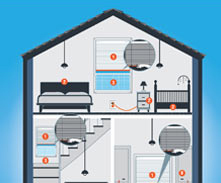 Print our window covering safety checklist & educate friends, schools, daycares, etc.